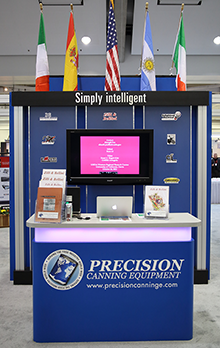 With over 30 years of experience in the Food Processing Industry, Mr. Carlos Masareje founded Precision Canning Equipment in 2005, along with his leadership team. Since then the company has become a leader in its industry. Our mission is simple “To provide our customers with quality equipment, dependable service and competitive prices”. The manufacturing and testing facilities at Precision Canning Equipment are constantly being upgraded to include new technologies and processes. Precision Canning Equipment is a leading global supplier of Food Industry Machinery and servicing. Our services are geared to our customers, we specialize in tailoring and developing machinery to meet the needs of each project and facilitate solutions. In addition we also assist our customers in developing their components to maximize production. We have a highly skilled and motivated workforce, who helps to keep the company and its products on the leading edge of technology. We employ the highest standards of quality and safety.